Have you got what it takes to help? Do any of the following describe you? Do you love getting hands on with cats? Are you caring but not overly sentimental, with a good working knowledge of cat welfare? Are you not afraid to get your hands dirty, happy to deal with the public, prepared to work to national standards, and do you understand that cats in care need attention outside of normal hours? Yes? Then maybe you could help! A fosterer's role is very rewarding, and it isn't just about stroking cats, it's about looking after them as and when required, whilst we find them a loving home. 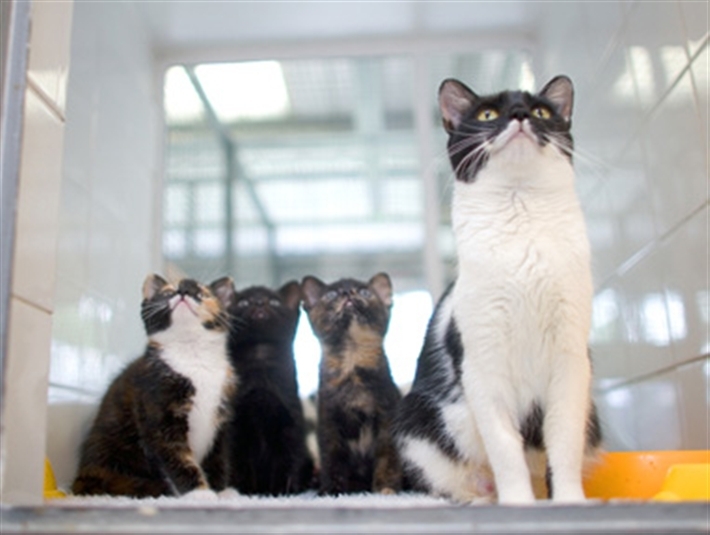 Fostering is normally done in a purpose built cat cabin, located in your own garden (which of course will be provided to you), though spare rooms can easily be adapted for indoor fostering. Do you just want to make a difference, to ensure all cats are homed to the right places, or do you have transport and a few hours to spare? Maybe you just love animals and want to use some of your spare time to benefit cats and kittens in your area? Sounds like you? Then there are lots of ways that you could help, such as home-checking, fundraising, or transporting goods locally. In fact, there's so many ways you can add value and make a real difference, just by offering a few hours of your time! Interested? Then please call today! Thanks! Across the UK many of our feline friends are cared for by volunteer fosterers who provide a stable, safe and loving environment in their homes or in purpose built pens in their gardens. They provide vital hands on care and accommodation to stray, abandoned cats or cats whose owners could sadly no longer keep them, and are part of a dedicated team of volunteers committed to finding new homes for cats in need. Most of our fosterers care for one or two cats at a time and enjoy providing lots of TLC to those cats which have been pre-loved or have had a difficult start in life. Some of our fosterers look after new mums and kittens and provide round the clock care to new-borns with tummies to fill and lots to learn. No matter what type of cats they have in care our fosterers provide the best start to the next stage of their lives.